Visions of a great future have played a huge role in China’s past, particularly since the rise of the communists and their victory in 1949. Mao Zedong’s thinking had a utopian strand from the very start, married as it was to progressive ideas about human, political and social perfectibility. Society was marching towards a future that was bold, bright, and wonderful. This was a fundamental article of faith in the early ideology and propaganda of the Chinese Communist Party (CCP), and saturated the party’s art and messaging. This luminous future was at least mitigation against the often challenging present. In the 1950s, with a world to rebuild after international and domestic war, it fired the prevailing optimism. China was finally, in the words of its constitution, master of its own house. The country was able to rebuild its decimated infrastructure. Human-development indexes rose. Mortality rates increased from a horrifying 32 in 1949 to the mid-50s fifteen years later. For Mao, at least in his poetry, the future was ten thousand years hence. But in the prosaic world of policy, it was a little nearer – if still decades away, up to a century. One of the popular stories his propagandists widely circulated told of the old man and the mountain. Sons, grandsons, great-grandsons would all labour away trying to move a mountain. Their achievement would take generations. That didn’t matter. They were all working to invest in a happy time and place that they and their most immediate offspring would never see, but their forebears one day world. That made it worth doing. The future grew a little closer under Deng Xiaoping. His project – “reform and opening up” – after all did not posit some abstract, highly ideal, almost philosophical paradise awaiting the Chinese, as Mao Zedong’s had. It was about pragmatically undertaking projects of enrichment and modernisation, whose results would come more clearly and nearly into view. Deng himself said that China would achieve moderate levels of wealth by the turn of the twenty-first century, and predicted full Chinese modernity by 2049. He was too pessimistic. Even by the early 1990s, the good times were falling due not in a century or more as under Mao, but in a few decades. Appealing to this better, often idealised, future has remained one of the key political resources and mobilisers for Chinese leaders. Unlike in developed countries, where the good times have to happen soon, and preferably today, China’s version posited the need for present hard work and sacrifice, material and political investment, in order to secure still relatively distant benefits. There was another difference too. With its legacy of socialist modernity, the CCP has never let go of a vision of human perfectibility and idealised social outcomes based on its fundamental belief in scientific modes of development. That is not the case in multiparty democracies, where politics and social evolution are seldom, if ever, regarded as operating under strict, predictable rules that can lead to perfect outcomes. China’s leaders today, however, have partially become the victims of their own success. Reforms have created a society which is prosperous for many, though a fall in raw GDP growth in recent years has made for a less compelling economic narrative. This is the context for Xi Jinping’s effort to mobilise people with a new grand tale, a different kind of vision, embodied in the notion of a “China dream”. His talk is less littered with endless economic statistics and technocratic utterances. He speaks instead of the new future being imminent, within grasp, just a few years down the line after a tough transition to middle-income country status. In that sense, Xi is a politician not of promise but of delivery. China’s good future has never been closer. This is the time – a time no longer a century or several decades away – when it finally achieves a dream held throughout the often tragic history of its engagement with modernity in the last century and a half: of being a rich, strong country, and one able to look after its own people well. We can even put a date to it. 2021 is when the Communist Party celebrates its hundredth year in existence. 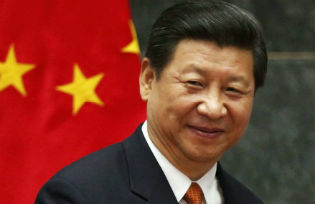 It is also when the first of the centennial goals that Xi Jinping has talked about in the last couple of years occurs. This is the moment the future becomes now. That at least is the suggestion of much party messaging and elite discourse. There is a massive challenge here, however. The problem about fulfilling the hopes of the future dreamed about in the past is whether it will feel as worthwhile and satisfying as people expect when at last it becomes real. There is no evidence that Chinese are any less willing to be satisfied than other people. If the future when it happens proves disappointing, solemn lectures by political leaders on the need for even more sacrifice will no longer pay off. The wonderful resource the future once supplied to Chinese leaders will weaken, even disappear. Then they will only be able to defend themselves on the basis of what is happening today. That will make them little different to their western counterparts – constantly ducking, diving and fleeing the current demands of restive populations. And for the party there is an even larger issue. Achieving successful modernisation, completing the grand project of a great future, raises questions about the very reason for the party’s existence. Successful modernity surely means the party itself, according to Marxist theory, has to suddenly vanish – as Marx said, wither away. Chinese people are then able to look for a different sort of political future. Maybe Chinese leaders already carry in their heads this awareness of the transience of the entity they belong to. In that context, China’s brutal present-day domestic politics can be interpreted in a new context – a tactical measure, to hasten the future that the party promised so often, of prosperity, idealism, strength. All the bitterness, struggle and hardship would then have been vindicated, all would be forgiven, and the party could then dissolve, morphing into something different. For if Xi Jinping specifically refers to a “China dream” as a vision for people and society, he has never said it is the party’s one. The party is the servant – and like all good servants, once the task is done, surely it too should wither away?